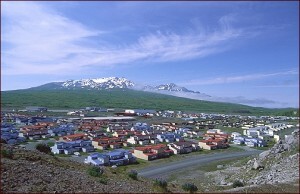 The community of Adak depends on its fish processing plant for jobs and tax revenue. But they’ve struggled to keep the lights on over the years. Now, the plant’s latest operator is looking for new partners to help shoulder the financial burden. 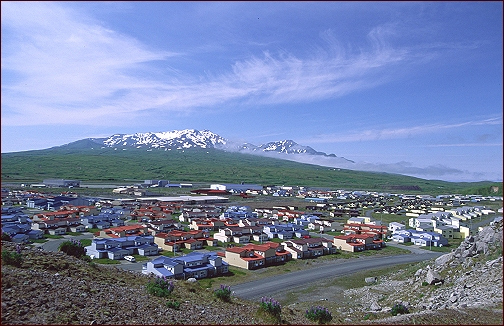 The Adak Cod Cooperative formed in 2013, when two businessmen with experience in salmon fisheries decided to branch out. They signed a 20-year lease for the facility on Adak. And they agreed to pay more than $2 million to the city government for the equipment inside. But after one season processing Pacific cod, the owners decided they couldn’t continue on their own. Rudy Tsukada is the president for Aleut Enterprise, which owns the factory building. He says it presents a lot of financial challenges. The high cost of energy has been a stumbling block for some tenants at the fish plant. When Icicle Seafoods walked away from their lease after just two years, the company cited concerns about the Pacific cod stock. But Adak Cod Cooperative is still in the picture. Tsukada says they’ve been negotiating with large processing conglomerates and smaller businesses to take over operations. As far as the landlord is concerned, Tsukada says Aleut Enterprise would prefer to have both. Those products could be packaged up fresh and flown off the island, generating revenue from air freight. Adak city manager Layton Lockett says that’s especially important now that the community’s federal flight subsidies are up for renewal. Alaska Airlines has been flying jets to Adak under a two-year, $4 million Essential Air Service agreement. Before it expires in October, the Department of Transportation is taking proposalsfrom interested airlines. In the meantime, Lockett and Tsukada say the deal to operate Adak’s fish plant could be finished by the end of January.